Since Facebook has over 1 billion users, and Instagram boasts a 300 million user count, both serve as wonderful platforms for reaching out to current and potential customers. Not only that, but when you share a photo, video or thought on one of these social networks, your followers have a chance to share it with their followers, leading to more exposure for your own business. That's why we at iBuildApp take Facebook Business Page and Instagram support so seriously, because the social platforms are gold mines for bringing in new users. Not to mention, people spend lots of time per day on these networks, so you're often more likely to connect with them through through social media, as opposed to on a website. The iBuildApp team has been hard at work, and we've come out with two exciting new features for you to sink your teeth into. The first is an integration with Instagram Support, which brings in all of the photos from your Instagram account to display on your mobile app. It actually works with the pre-existing Photo Gallery App, which is now called the Instagram Support and Photos feature. 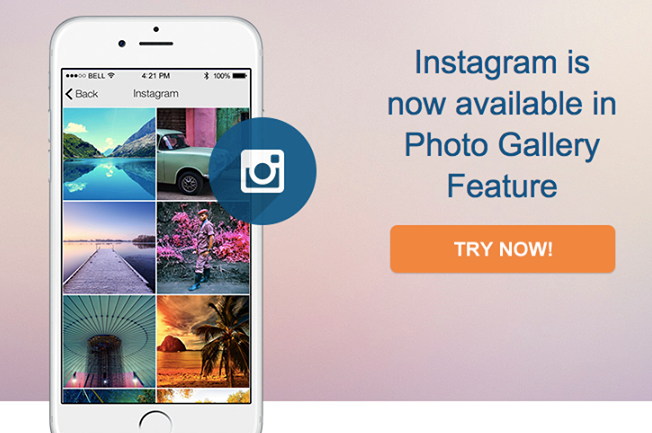 The process is simple: Start by installing the Photos and Instagram feature on the app of your choice. 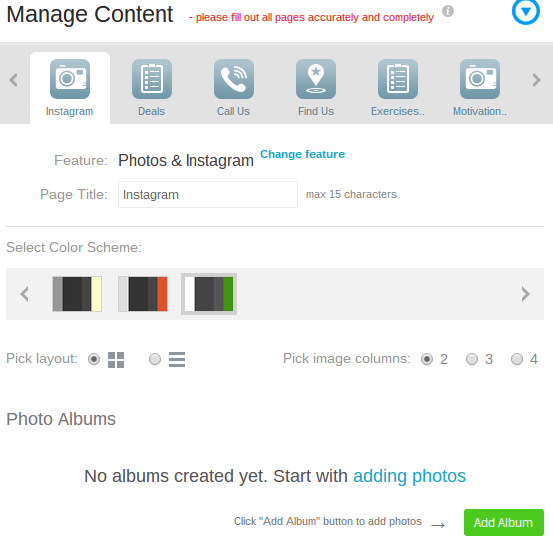 Once you see the feature in your Manage Content area, click on the Start With Adding Photos link towards the bottom. This reveals a popup with quite a few options for where to pull your photos from, including Flickr, Picasa, your computer and Instagram Support. 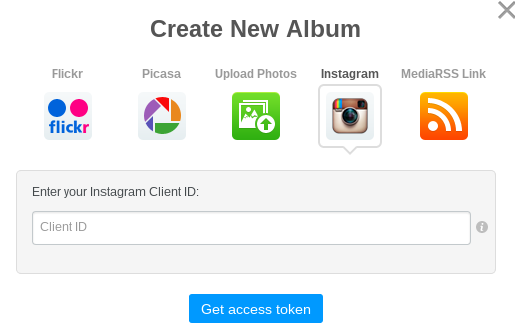 Select the Instagram icon to bring up a field that asks for your Instagram client ID. What the heck's a Client ID? I'm glad you asked, because we have a quick guide on how to find this Client ID on your Instagram account. Click here to learn how to find the client ID for your Instagram. Once you locate your ID, place it in the field and finish the process. After that, users can navigate to the Instagram gallery, click on photos and even enlarge them to get better views. The best part is that the feature syncs directly to your Instagram account, so every time you post a new Instagram picture on your account, that picture appears in the Photo Gallery feature. That's it! Have fun playing around with this fun new feature. 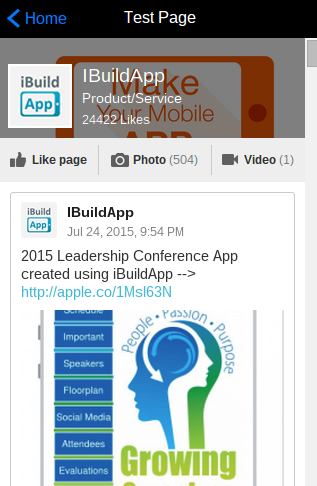 The iBuildApp team has always provided a handy feature for connecting your photos, feeds and business information. However, it was time for a redesign, so we recently released a sweet design with fresh elements for a cleaner and more functional Facebook Business Page on your mobile app. 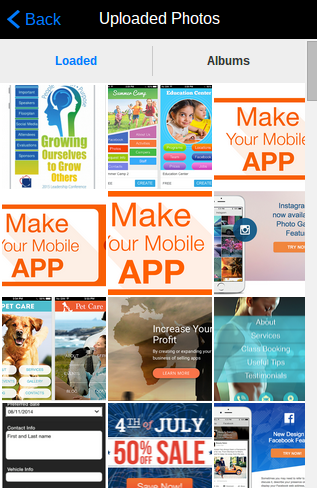 To start, click here to view information on the feature, and to add it to one of your mobile app designs. All you need is to paste in your Facebook Business Page username and maybe change around the color scheme to coincide with your current branding. 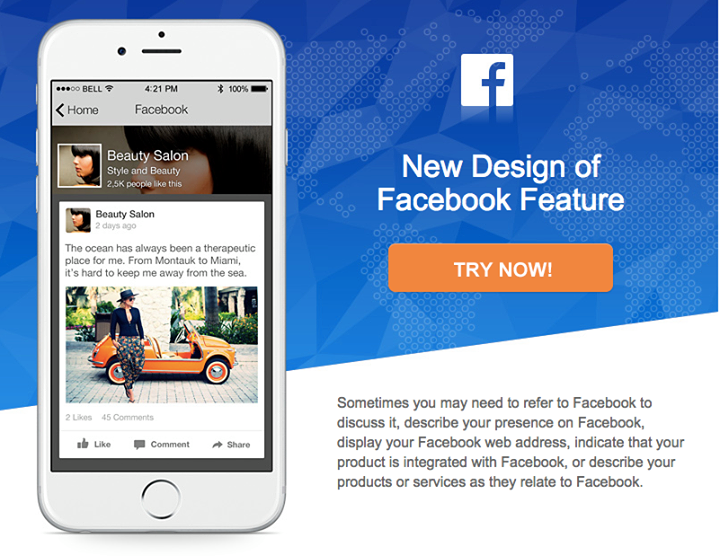 What can users do with the new Facebook Business Page feature? Users have the chance to view your photos and video galleries with the click of a button. The Like button sits at the top of the page, and a full count of how many followers you have is listed at the top as well, which is ideal for giving your company some credibility. As a user scrolls down through the Facebook Business Page feature or Instagram Support, they see a clean feed of all your past posts, including photos, text posts, videos and more. The coolest part is that people can click to like, comment on or share the posts, directly from the comfort of your mobile app. Overall, the new Facebook Business Page redesign is built for interactivity, allowing you to talk with your customers and understand their concerns. Heck, you could even use your own app to open up the Facebook page and respond to questions and field conversation between followers. What do you think about the new Instagram feature? Are there any suggestions you may have that could make it better? 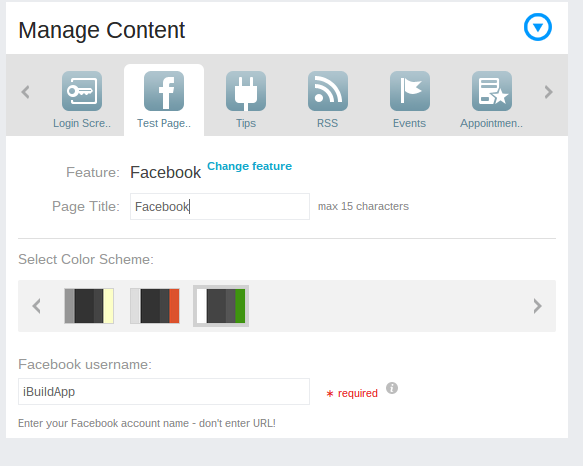 What about the Facebook Business Page redesign? We're always looking for feedback, so feel free to leave a comment in the section below. That way, we can put it towards making redesigns in the future. Instagram Support.